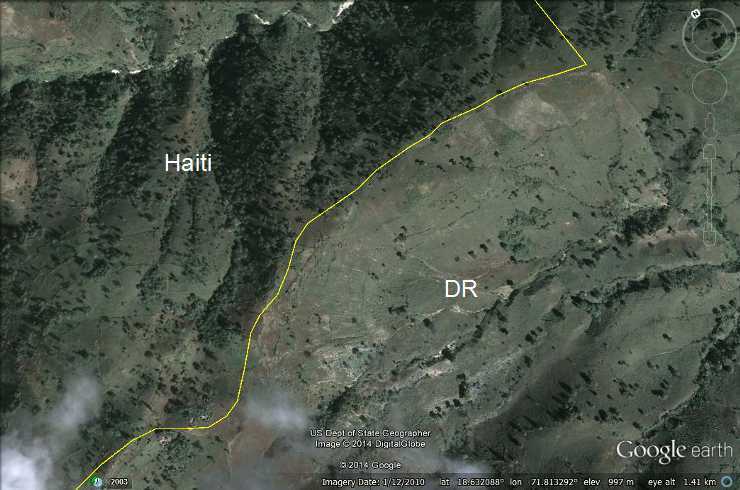 One of the things people most often know about Haiti is the fact that from the air you can see the border of the Dominican Republic by where the trees stop. There are some very celebrated photos that show this to often be the case. However, while that is true in many places, it is not universally true. In fact, where we work in Fonds Verrettes, the reverse is true. Fonds Verretes is on a tree-lined ridge in the mountains above a Dominican desert. As I explained to our guests on this recent trip, you can tell approximately where the border is by where the trees end. Furthermore, much to the surprise of those who believe that Haiti has no trees, we usually stay just up the road in the middle of a gorgeous pine forest, Foret des Pins. 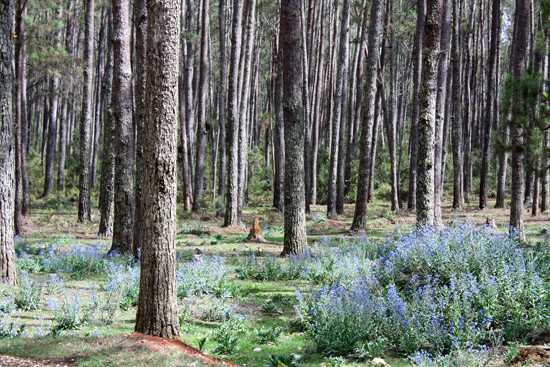 Foret des Pins is a place of almost surreal beauty, as the morning sun filters through the tall pines illuminating the abundance of bromeliads. Foret des Pins has the potential to be a tourist destination, if the road were not so difficult. On this trip, we stayed in a lodge built in the 1940s. The roof leaks like a sieve, creating community in unexpected ways, as we continually shifted our mattresses to find the dry spots. It can also be quite cold at night, defying another expectation, and making the large fireplace quite welcome. According to the Ministry of Agriculture workers who briefed us on the history of the forest, the lodge and surrounding cabins, which today are often used for visitors, were originally built to house loggers. Indeed logging and more recently agricultural encroachment have reduced the area of the forest to a mere fraction of its former size. A large and growing town is carved out of the center of the forest just a few hundred yards from the lodge, although you might never know it was there. As we have recently learned, this area is also home to the endangered Black Capped Petrel, which provides yet another reason for working to harmonize the conservation of this forest with the needs of the local people. And it provides yet another reason, as if I needed more, to love this amazing and fragile place called Haiti.